On my Facebook, I have right around 420 or so friends. I have all of them categorized so I know if they are family, friends, church, acquaintances and games. I don’t get news feeds from all the friends because I don’t know half of them personally. Sometimes they are friends of friends or games and usually my husband is playing the games under my name. But I have found a couple things interesting or should I say sad when it comes to Facebook and that is the drama that plays out for hundreds to see. Many times these dramas happen in front of people who may not know all the characters in Facebook Land and they get very personal. Big Brother is on Facebook too! The dramas I’m thinking of is when a person post somethings that is going on in their personal life. For the most part these are negative remarks that are hurtful to someone they may know, but not really many other people would know them. So they post a status about how so and so is doing this and that they want to do something to hurt them and the language is way out there. For the most part many don’t know what the situation is nor do we always care. If some privates me and asks for advice, then I will give it to them if possible. But when the status’s and arguments become mean and hateful, I want no part of that. And forbid the poor person who comments on someone’s status that is raging like that. Because they get yelled at and put down. There may be a comment about how they never asked them for their opinion so stay out of it. OK! Out of all fairness to those who have to read such rages and comments, I would say that if they don’t want feedback or comments, then don’t put it out there for everyone to read. For the most part when I read some of these conversations of people who I don’t know, I think it is sad and pitiful. It makes me wonder what kind of a person who drag those they profess to love and care about in the mud in front of strangers all over the world. Here pretty soon, there will be a number of people I will be defriending because of this. It’s not fair to anyone to be treated the way that some people treat others. Facebook has made it easy for people to open their lives up as if it is a diary. Facebook isn’t a diary. It is a social network. Don’t take it personal if I don’t have you on my list anymore… Well! OK take it personal, because there is a good reason you are no longer there and maybe some people should take that into consideration. These aren’t rages by just one person or group, it happens in a number of groups. They want people to respect them and not think bad of them, but then they are the ones putting these horrible messages of hate all over Facebook. They are in a sense giving everyone free range to comment and respond to their status’s. I know I have my moments and I do my share of venting. But there are just some things that never should be posted. I wonder about people and how they put so much information out there for everyone to see. 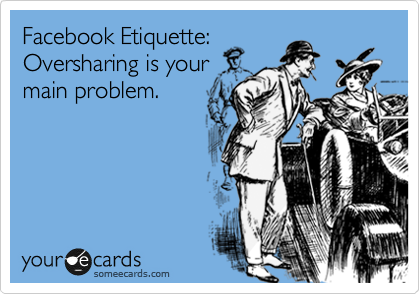 Some people needs to understand what privacy settings are. They are not only good for us, but for those in our family and on our friends list. One of the sadder things is when someone posts horrible messages or pictures and either their friends, family or whoever else are forced to see these horrible things. When I see some of these messages, I have to honestly say I have no respect for the person who drags another through the mud on Facebook or other social networks. The comments tell me what kind of a person they are and if they are making heartless comments, then I don’t really want them on my Facebook. I don’t need the drama from those I don’t know and I don’t need it from those I do know. Usually if I post something personal, there is a reason why… Sometimes people don’t need to know what is going on in our lives 24/7. 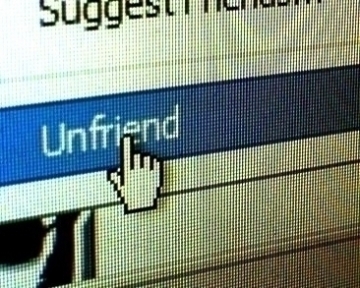 And when I do post a status, it isn’t going out to all that are on my friends list, only to a select group of people. Those I don’t know personally don’t get all of my status updates and such. We need to be careful, especially if we don’t know them personally. I think my downfall is posting pictures. I like to post pictures of nature and my kids, grandkids and pets. But I do have them also restricted to who they go to. Not all people are interested in what I do and my pictures. I try to respect them. I guess I will close out on this topic… In a nutshell, i wanted to just say keep the drama to yourself and stop posting crap. 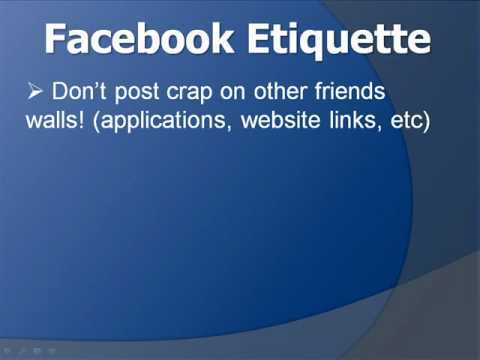 If you don’t want people to reply or give you advice, then you should never post it on Facebook, twitter or Myspace! Just saying! 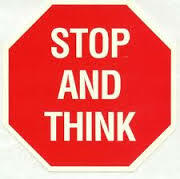 Stop and think about what you are posting and if what you are posting will destroy your personal or professional life. You never know who is reading your posts or wall. Overall I love facebook because I can connect to my friends and family. That’s why I joined it to begin with. I have found family members I have lost tract of over 40 yrs ago. I have been reunited with school pals, and get to see up to date pictures of my sweet wonderful grand kids. There are many wonderful things about facebook. But to those who are the bad eggs, I have no use for rotten eggs and people filled with hate.